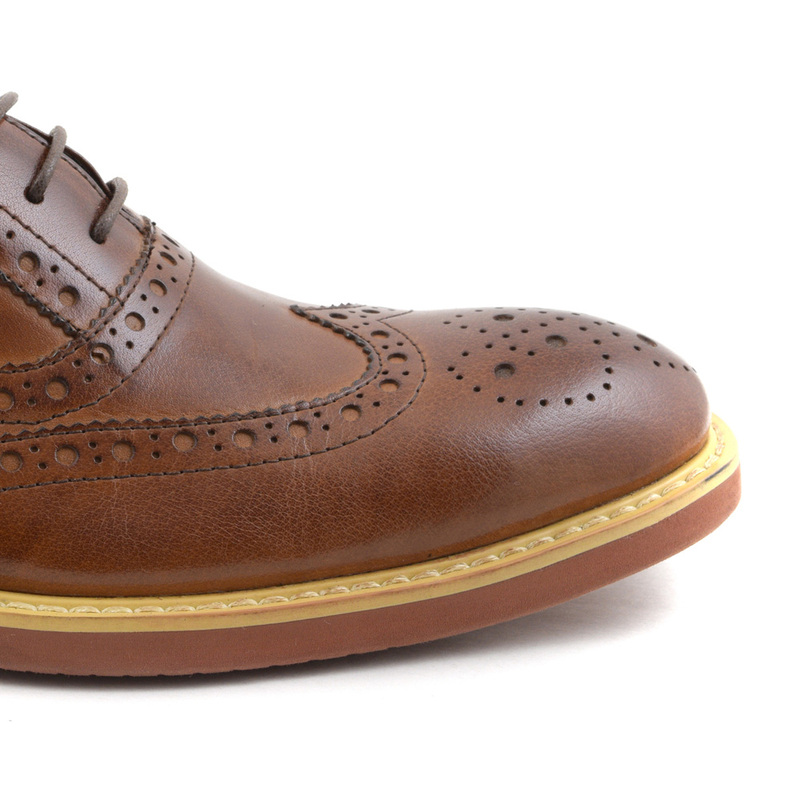 A lovely chestnut brown burnished leather make these tan oxford brogues a delight. 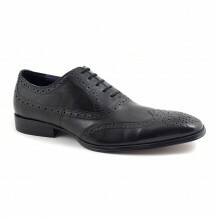 They have rose brogue and wing tip detail to the toe cap as well as punch out detail to the top line, heel and side. There is contrast stitch detail to the outer sole giving these an artisan feel. 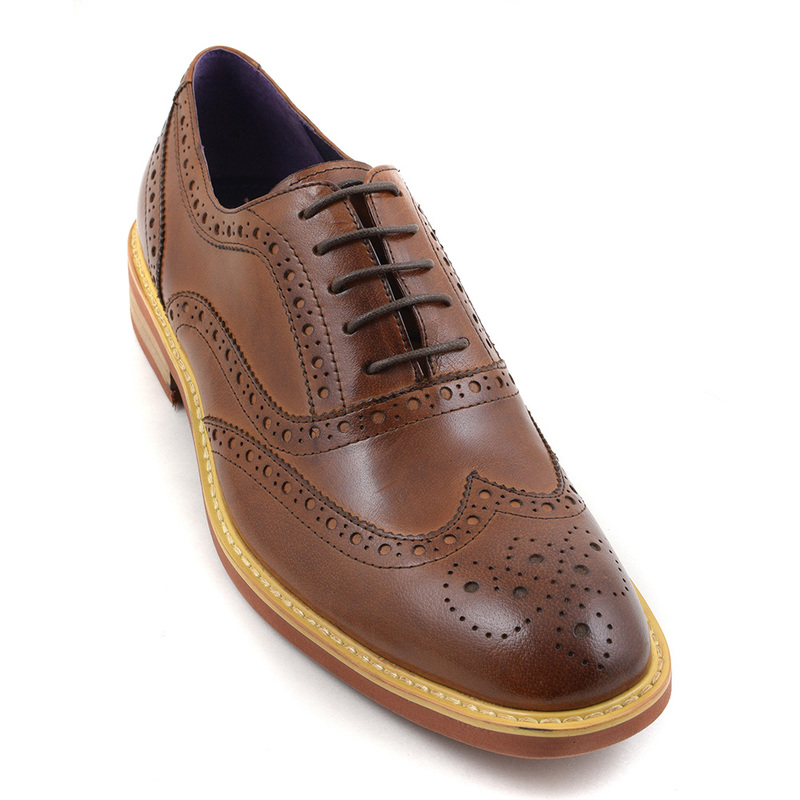 This is a lovely country style mens brown or tan oxford brogue and the country is where its roots are. Originally from the old Irish “brog’ meaning shoe, the word brogue came into the language in the 16th century. This style originated in the rudimentary shoes with perforations worn by wearers when crossing wet land like a bog. In the early 20th century, mens brogues became worn as country walking shoes but were not acceptable as footwear for social or business occasions. Of course, in todays world, brogues can be worn any time, any place, anywhere. 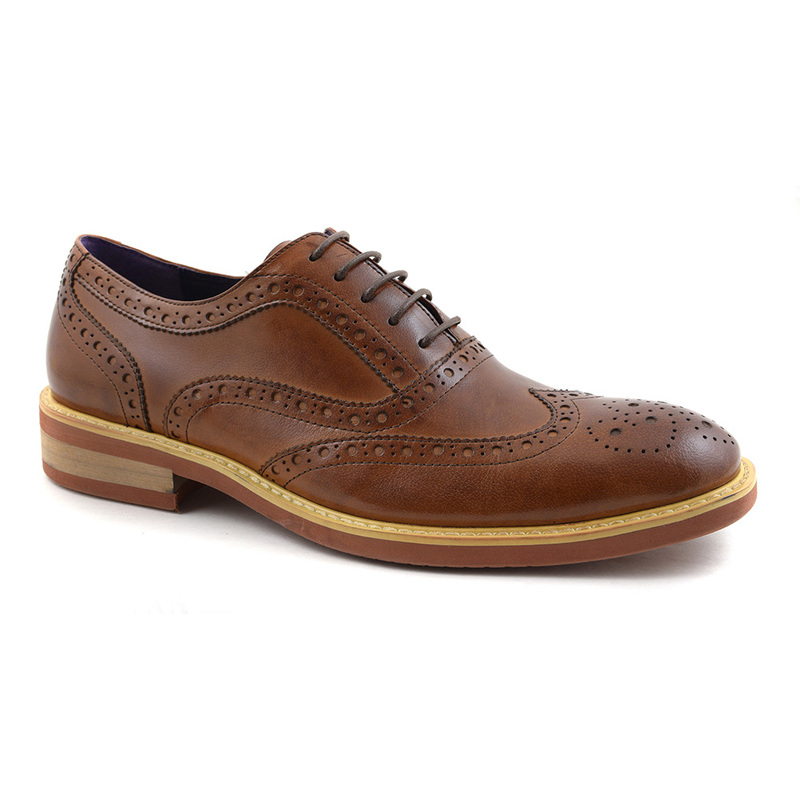 This particular brown brogue has a closed lacing system known as an oxford. It has full brogue detail in that there is a medallion detail to the toe, a wing tip and punch out detail with serrated edges. Did you know that a shoe is less formal the more broguing it has? 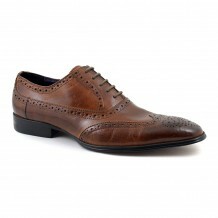 Couple that with the outer stitching and light sole and you get a sense of what you can wear these brown brogues with. Try a country look with tweeds and you will look like a dapper gentleman. You could wear these with jeans for a more semi-casual look. Lets not forget these are oxford shoes (meaning the laces are closed) which are considered quite formal so could you wear these brown oxford brogues with a suit? Why not! 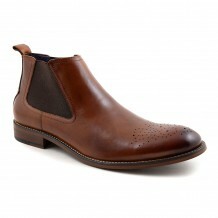 The fact is these are contemporary style brogues in a lovely brown leather. and you can style them as you please. The original design created by Gucinari might have elements of tradition but there is a modern edge to these tan oxford brogues meaning they can be worn in diverse ways to match your style and personality. Be the first to review “Orin Tan Oxford Brogue” Click here to cancel reply.